Are Amateur Radio-Based Emergency Communications Still Relevant? There are many long-standing arguments within the Amateur Radio Community, and I’d have to say this one probably sits in the Top 10. It’s one of those things that every ham has a strong opinion on, from “we are the be all and end all of disaster communications planning” down to “hams who show up to emergency scenes should be arrested.” So what’s the answer? Well, like most things in life, it doesn’t lie in either of the extreme, but rather somewhere in the middle. Emergency: An event that requires prompt co-ordination of action or special regulation of persons or property to protect the safety, health or welfare of people or to limit damage to property. Disaster: An event that results in serious harm to the safety, health or welfare of people or in widespread damage to property. Police, Firefighters and Paramedics rushing to the scene of a multi-vehicle collision on a major highway is a proper response to an emergency situation, and they have the necessary tools to deal with whatever may arise. However, an earthquake of a high enough magnitude could destroy infrastructure over a widespread area creating challenges for emergency responders. That would be defined as a disaster. There are some emergencies where Amateur Radio could play a role, but for the most part, we are involved in the planning of backup communications during a disaster at municipal, provincial and even federal levels of government. The knowledge base that a group of seasoned Amateur Radio operators can provide to planning and live operations. Our place in a live disaster situation is very clear: somewhere out of the way of the bulk of those managing said disaster, sending messages to and receiving messages from other field units. The scope of that network should be defined well, well in advance of a disaster to avoid confusion and a long deployment time. Our place in a live disaster, or any other emergency is not in the way of the first responders, or any other involved professional. Yes, I’ve read the articles, the posts on QRZ, the complaints of the “whackers” who wear tactical pants and reflective vests and have light bars on their trucks and show up where they’re neither needed or wanted. That is what we as Amateurs should strive very hard to avoid. 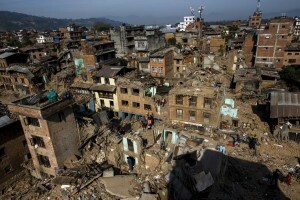 A recent, very public example of Amateur Radio’s involvement in a disaster came this past spring when Nepal experienced a devastating earthquake. It was not an ideal situation (mind you during a disaster, no situation is ideal): there were no plans to deploy Amateur Radio in the event of an earthquake, there was no ARES-like infrastructure, nothing. One operator, Satesh, 9N1AA, managed to power his radio, throw out a wire on a tuner, and managed to contact Amir, 4X6TT, and a net was formed and ran for just a little more than 6 days which passed health and welfare traffic. Once primary communications in/out of Nepal were restored, the net was closed and a number of Nepalese and Indian Amateur Radio operators deployed to multiple points inside Nepal and operated a disaster net on 40m. 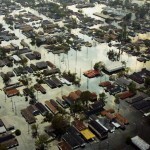 During Hurricane Katrina in Louisiana in 2005, Amateur Radio was essential in search and rescue operations, so much so that the ARRL was granted $100,000 to supplement its Ham Aid program, which loans communications go kits to areas affected by a disaster, sometimes even in advance of a predicted event. THAT is why Amateur Radio is still relevant in disaster communications planning. Without traditional networks, such as the telephone system, cellular telephony or the Internet, the government’s ability to communicate outside the radius of their backup VHF or UHF handhelds is very limited. Even the trunk systems used by police and fire services here in Canada (and presumably the vast majority of “the west”) are tied to the telephone network in some places and could be very easily disrupted by a disaster. Once that goes away, the 2 or 3 VHF frequencies they have access to would become easily overwhelmed. In Canada, I have heard many complaints about the lack of cohesive preparedness planning strategizing within the national Amateur Radio community. Most recently, I read an article by Peter West, VE3HG on the subject, to which I replied to him with my own opinions on the subject. In short, Canada, unlike the United States, doesn’t have a strong, national emergency management agency. The US Federal Emergency Management Agency is responsible for initial response to any disaster that occurs within the United States, regardless of state lines or local government. Canada lacks this at a national level. As with most things Canadian, each Province is responsible for their own plans, and again, like most things Canadian, the Provinces rarely play nice together, if at all. If there was an inter-provincial event, the Ministry of Public Safety would probably step in to a degree, as would the Department of National Defence (more on that in a moment), but the Provinces are responsible for their own houses and that’s it. So where does that leave us as Amateurs? Well all disaster planning must start at home, and that means within our own municipalities. During my tenure as the RAC ARES Emergency Coordinator for North Halton (Halton Hills, Milton), Ontario, I was heavily involved in communications contingency planning with the Town of Halton Hills, and the Region of Halton. I sat in several mock disaster sessions, participated in tests, operated SETs, etc… If something really bad were to ever happen, the bulk of us will be involved in operations at this level, serving our local communities. The next level up is within the provincial emergency management infrastructure. Should the disaster be on a scale where it encompasses several municipalities, communication between the affected areas and the provincial government will be crucial. Again, speaking from my own experiences as ARES EC and later as Assistant Section Manager for Ontario, Emergency Measures Ontario’s management locations are fully equipped with Amateur Radio apparatus capable of operations from HF to UHF. This is when HF communications come into play. Establishing a two-way link between Toronto and Mississauga is possible on VHF or UHF. But to get from Toronto to North Bay, you’re probably looking at 80m, 40m or better yet, our new 60m allocation. During an event, I would estimate that you’d have 10, maybe 15 operators both at the radio and on standby, or resting, within a provincial operations centre. That brings us to Peter’s question. What about a disaster on a national scale? First off, as a father, I’d rather not spend too much time fathoming the scale of such an event (i.e. : it scares the **** out of me). But if that were to happen, realistically, the Ministry of Public Safety would make the necessary formal requests to the Department of National Defence (DND) and the Canadian Forces would be deployed. 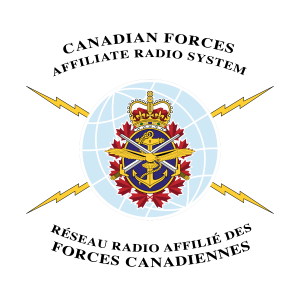 Enter CFARS: The Canadian Forces Affiliate Radio System (didn’t I just write about this?). CFARS’ network is spread across the whole of Canada, even up into the far, far north. CFARS has access to its own frequency assignments that are outside the established Amateur Radio bands, its own RMS Winlink e-mail gateways, and a group of civilian and military radio operators trained in message handling on a national scale. Where in its early days, CFARS was a service used to boost morale by providing phone patches between overseas troops and their families back home, it has evolved into a viable HF communications network able to easily pass traffic from one corner of the country to the other. RAC and CFARS do liaise with each other, and each knows where to find the other should anything occur. I strongly believe that Amateur Radio still has an important role to play in contingency communications. What’s important is to remember that our role is to build links and pass traffic over those links. That means working with authorities ahead of time to determine their needs and assist in fulfilling them, training ourselves to be what those authorities need us to be, and then getting the heck out of the way when we’re not needed. This is only my opinion, formed from many years as a hobbyist and as one who has enjoyed being involved in contingency planning. My only hope is that we never have to find out if I’m right or wrong.